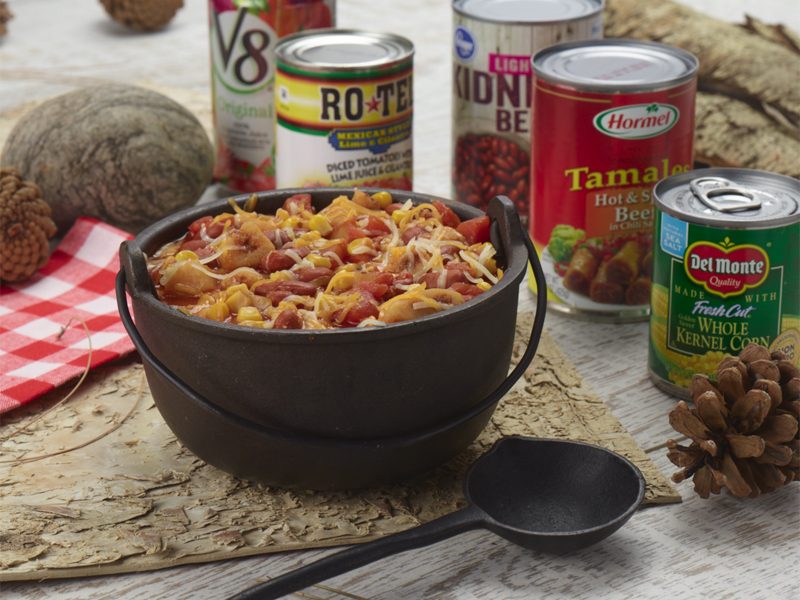 In large saucepan combine sliced tamales, V-8 juice, undrained corn, kidney beans, undrained tomatoes and pepper. Bring to boil, reduce heat. Simmer, uncovered, 5 minutes. Serve in soup bowls and sprinkle each serving with cheese. This recipe requires no prep. All the prepackaged canned foods are shelf stable and this is a great recipe for a food bank participant.